The Princess and The Pump: A Type 1 Diabetes Blog: Need A Laugh? My posts this week have been a little... heavy. So today I thought we could all use a laugh! First, however, I want to say THANK YOU to everyone for all the prayers and well wishes for my Dad and all the support for my blog at Parent's Magazine Best Blog Awards! Dad came through the surgery well. His doctor said everything had gone "perfectly". He's now recovering and I am astonished at the progress he's made. Just a few hours after surgery he was communicating with us and then talking with us very lucidly! We are relieved and so pleased with his progress. We continue to pray for a speedy and full recovery! The other evening we were out for some fine dining. Our restaurant of choice? McDonalds. So there we were. Munching on our apples and hamburgers. Sweets stealing all the grapes out of the fruit and walnut salad. And she had to go to the bathroom. We prebolus and then if she eats more than expected, I bolus again. She needed more insulin. So I was putting it all in the PDM on our way to the restroom. She got in the stall and locked the door before I was able to hit "confirm" to give her the bolus. I stuck the PDM under the stall door as far as I could without having to get on the gross floor. Sweets, seeing what I was doing and without saying a word, started waddling her way closer to me. I say waddle because she'd already pulled down her shorts. I'm thinking, "Oh man - hurry up! I hope she doesn't pee on me!" And then the absurdity of that moment hit me. What if someone walked in the door at that moment? 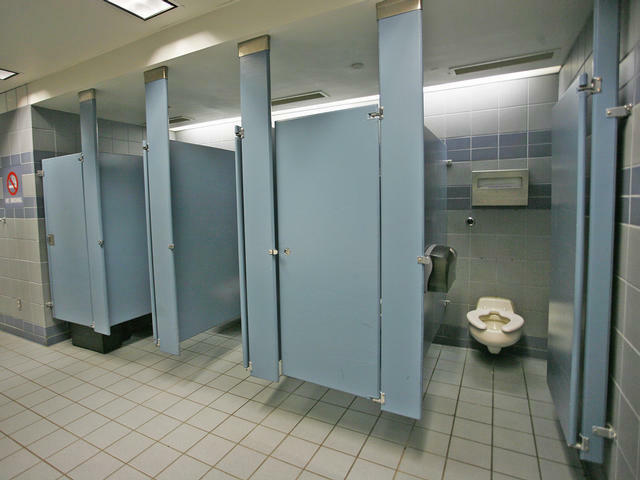 Here I am sticking this cell phone looking thing under the stall door - practically on the bathroom floor. Let's just say that it's not something that would have been easily overlooked! As Reyna would say, Just another day in the life! I hope it made you smile, too! I think we all need to laugh at those crazy, insane, what on earth am I doing, has it really come to this moments. It's good for our mental health! 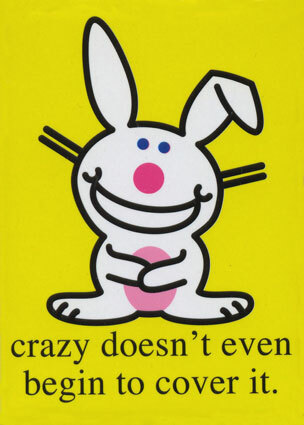 Because if weren't all crazy, we might go insane! Oh the things we do for our kids! Love it...keep smiling and keep your chin up! These are the moments that keep us going! Yes, laughter saves us from insanity! Even funnier would be another T1d family coming in and 'knowing' what you were doing! Great story for the 'ol scrapbook! We may have some similar moments as we start our podding journey in a week. This one definitely made me smile! So glad to hear that your Father is doing so well...what a blessing. Lovely story, I needed a smile today so thank you for that. I was recently spotted by friends bolusing Frank wit his pump as he kept on walking down the street, me following him and him on the pump lead like a puppy! It madness! Sorry I missed the post about your dad Hallie! Loads of hugs and prayers! I'm totally laughing. I can only imagine what someone woulda thunk! Is it bad that I can actually see this playing out in my head?!? Funny!